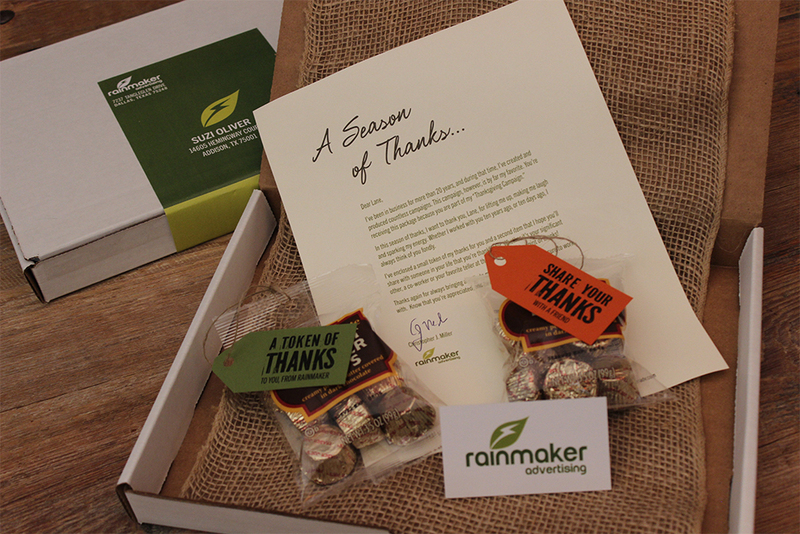 To celebrate the Thanksgiving Season, Rainmaker created a unique campaign to say “Thank You” to past and present clients and friends. The challenge was to create a cost-effective mail piece that would still make an impact on the person receiving it. 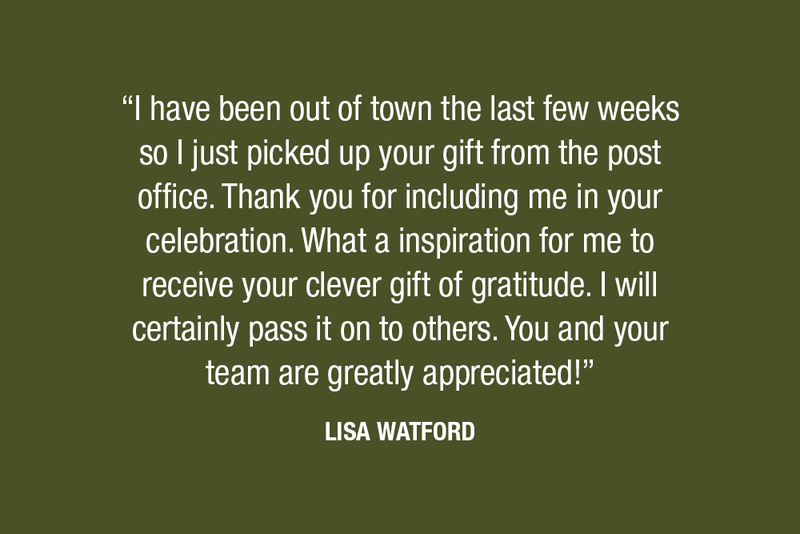 After much “rainstorming”, we decided that while it was important for us to say “thanks,” we wanted to give the recipient a chance to spread the thanks by including a second token of appreciation. We found the campaign to have a wonderful impact. 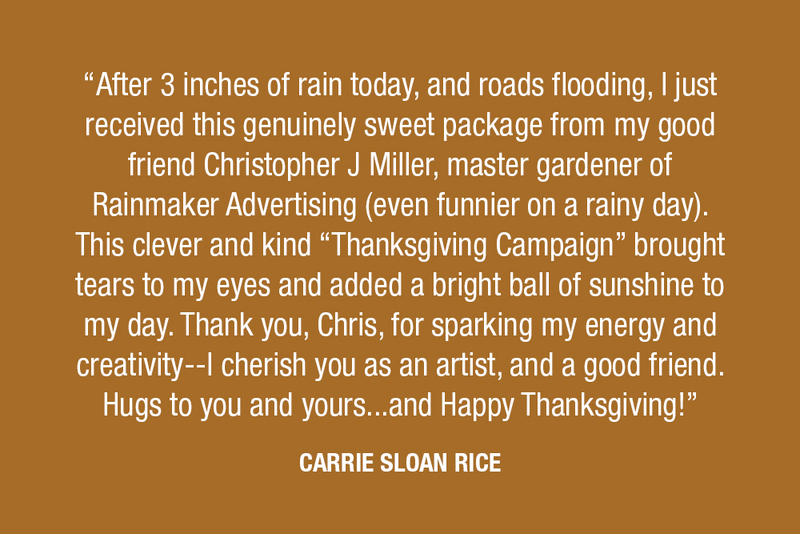 Scroll through the images to see what several recipients had to say!